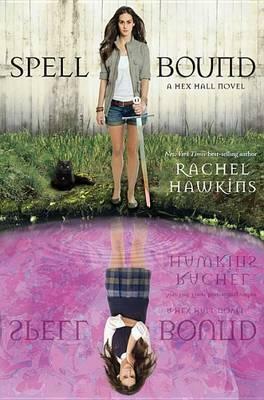 Hailed as "impossible to put down," the Hex Hall series has both critics and teens cheering. With a winning combination of romance, action, magic and humor, this third volume will leave readers enchanted. Just as Sophie Mercer has come to accept her extraordinary magical powers as a demon, the Prodigium Council strips them away. Now Sophie is defenseless, alone, and at the mercy of her sworn enemies-the Brannicks, a family of warrior women who hunt down the Prodigium. Or at least that's what Sophie thinks, until she makes a surprising discovery. The Brannicks know an epic war is coming, and they believe Sophie is the only one powerful enough to stop the world from ending. But without her magic, Sophie isn't as confident. Sophie's bound for one hell of a ride-can she get her powers back before it's too late? Rachel Hawkins (www.rachel-hawkins.com) was a high school English teacher before becoming a full-time writer. She lives with her family in Alabama. To the best of her knowledge, Rachel is not a witch, though some of her former students may disagree.